Historical Purposes – Own Less. Do More. There are 69 posts filed in Historical Purposes (this is page 1 of 14). The Story of Us. Or, How a War and a Postage Stamp Led to, Well… to This! 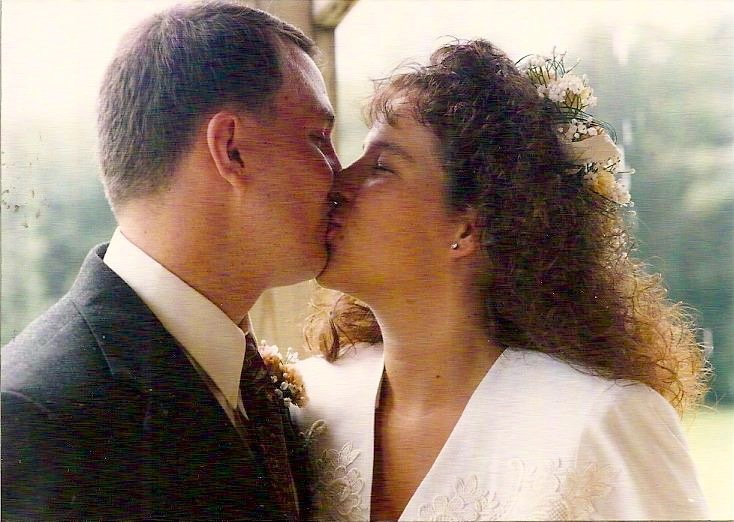 We recently celebrated our 25th wedding anniversary, and in the course of posting a lot about that on Facebook, we learned that many of our friends don’t know The Story of How We Met, and those who do are tactfully, generously and graciously allowing me to tell it myself. In other words, they’re sitting back and waiting for me to write it. Finally. We have recounted it out loud many, many times over the years. It makes people gasp, and sigh, and clasp their hands to their hearts while smiling kind of sappily. It never gets old, and I have been urged repeatedly to write a book. Y’all. I’m not writing a damn book about it. That’s what Nicholas Sparks is for. But I’ve got a blog, so you get it here. Own Less, Sigh More. This. This is how it all started. So… Remember when people used to write letters? Like with a pen, on stationery with coordinating envelopes? 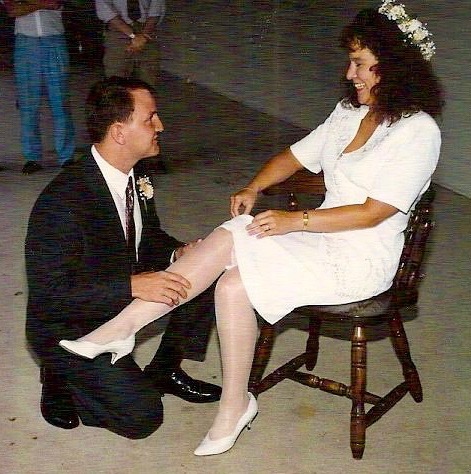 … hand it to the man who would become my husband. Almost exactly 27 years ago, on August 7, 1990, President George H.W. Bush ordered an increase in military strength in the Persian Gulf, after Iraq invaded Kuwait. Hello, Operation Desert Shield, and aren’t you scary? I was 21, and a senior studying journalism at the University of Texas at Austin. Nobody in my immediate family was serving in the armed forces at the time, nor could I think of any relative who had served during my lifetime. 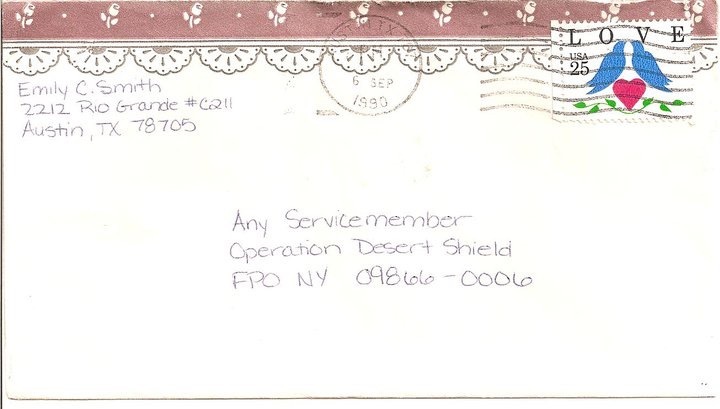 But I wanted to do something to make a difference, so when the newspaper published addresses for folks like me to send morale-boosting mail and care packages to “Any Service Member” deployed as part of Operation Desert Shield, I knew I’d found my gig. I was not looking for a date, a boyfriend, or a husband. It wasn’t a mail order bride thing, and Match.com and Tinder didn’t even exist. I was going to get my degree and launch a long, successful career in magazine publishing, dammit. I had priorities. That said, apparently I give good letter. And this is the start of The One. My opening salvo, dated September 6, 1990, found its way to mail call onboard the USS GUAM, and was randomly given to a married officer in his 40’s. Tim let it sit on his desk for several days. He was already struggling to keep up with correspondence from his own family, a few friends, and a school teacher and her kindergarten class somewhere in the midwest. He was on a ship at sea in the Persian Gulf during a war buildup, and he seriously did not have that kind of time. But I guess some sort of paperwork or other junior officer drudgery came up that he wanted to put off doing, so the man picked up his own pen and paper, and answered my letter. We corresponded for 8 months, through Operations Desert Shield and Desert Storm, through the ship’s safe return to its home port of Norfolk, VA, in April of 1991, and through my graduation from UT in May. Yes, we’ve saved all those Gulf War letters that brought us together. They’re currently buried in our storage unit in San Antonio, along with the rest of our important artifacts, so I was unable to get my hands on them for this post. 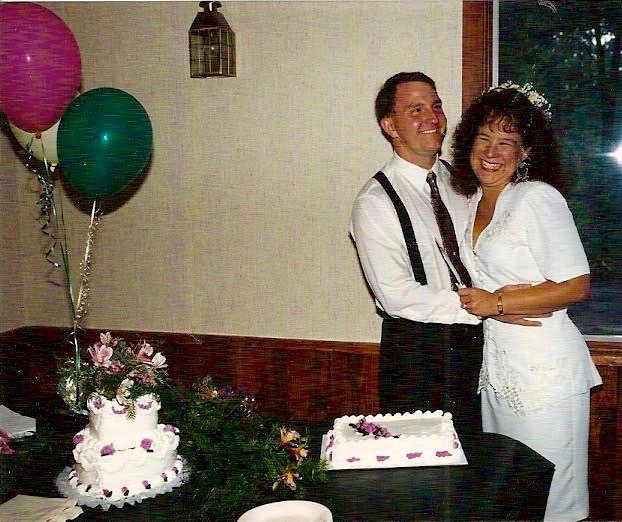 Luckily, I’d scanned a copy of that first letter five years ago, for our 20th anniversary, and I still had it on my computer. I flew from Texas to Virginia to meet Tim in June. We spent a week together, learning that we were just as compatible in person as we’d been on paper. A month later, he called to ask me to move in with him in Norfolk. Ten minutes after that, the Air Force called to offer me my first real job, a civilian position in public affairs at Scott AFB — in Illinois. But I couldn’t let the story end. Our “We’ve moved in together portrait” was taken on a real camera with real film, in a modest little 2-bedroom apartment we didn’t have enough stuff to furnish. I told my parents I’d made a big decision. They gave me their car, helped me pack it with all my things, and watched me drive away. They understood — because they had a romantic story at their beginning too. 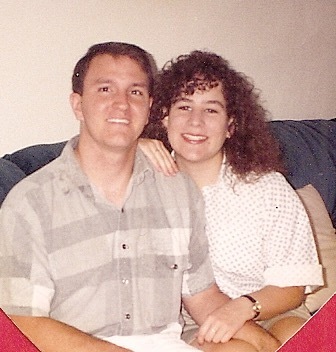 A year later, on July 18, 1992, Tim and I were married. To rapidly condense the rest: 1 apartment, 4 sets of military quarters, 2 rented houses, 3 purchased houses, 7 states, 1 US territory, 3 dogs, 10 vehicles, 1 nursery school, 3 elementary schools, 4 middle schools, 3 high schools, 3 Cub Scout troops, 2 Boy Scout troops, 5 Navy promotions, 1 Navy retirement, and 1 RV later, we celebrated our 25th anniversary with a stay in the same room at the same B&B where we spent our wedding night. 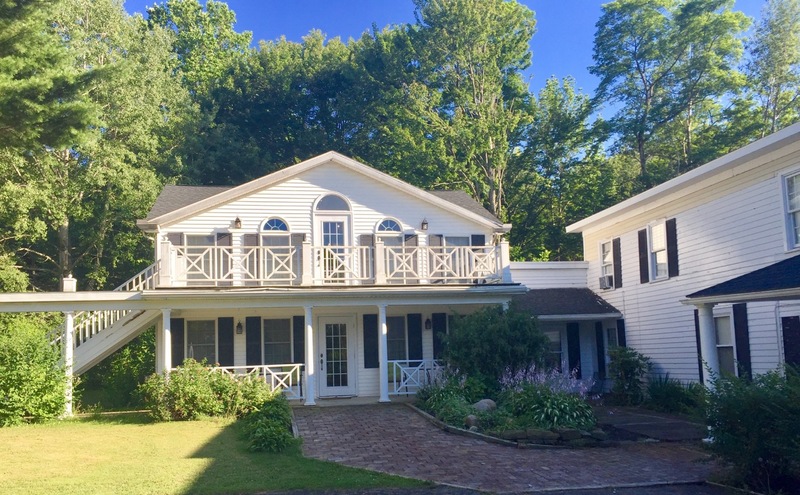 The carriage house at the William Seward Inn, in Westfield NY. Our story started with a letter. And a whole lot of random gone right. And we’ll keep writing it. What we need here is a rodeo clown. And a zamboni. And maybe a flock of pigeons. I haven’t posted anything since what? Monday? Even on Facebook, I’ve been quiet. Because life has been boring. Filled to bursting with ennui. The stuff that’s broken on the RV has stayed broken, and the dog’s given me nothing. Nothing I tell you! We did hire a new realtor to sell the house, so there’s that. And yesterday, I watched 4 episodes of Gilmore Girls, and took the ugly valance off one of the bedroom windows to see if going naked was perhaps a better option. Some of us just can’t get away with that. But bonus: putting the valance back on killed another 15 minutes. Do we need to get rolling? Hell. Yeah. But Thanksgiving is nigh, and Family is near, and Mom’s got the bird, and all three of those things are Highly Important and Valuable. So it’s over the bypass and through the subdivisions, to grandmother’s house we go! On Black Friday, we avoid shopping centers and prep for departure. And on Saturday — a mere week from today, which I can handle — we roll. It’s gonna be a loooong trip this time, both in distance and duration, but I’m saving the details for a future post. Because unless one of us falls off the roof of this thing while doing gutter repairs this weekend (don’t ask), I’ve otherwise got squat nothin’. 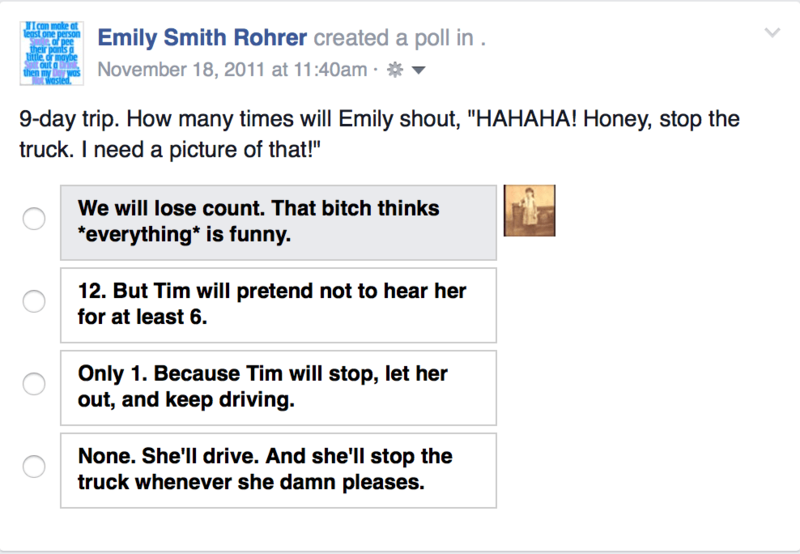 Instead, I leave you with this FB flashback to 2011, which still applies to any and all of our road trips. Option 3. One of these days, that’s totally gonna happen. Because of Facebook’s “On This Day” feature, I am reminded that wanting to appear and feel younger and more vital — like our friends, the Goodmans — was not an insignificant reason for this undertaking. 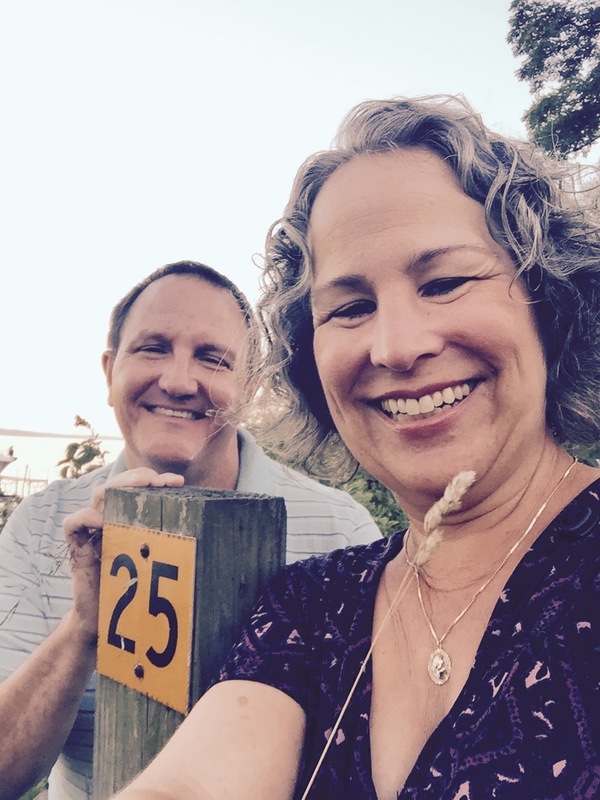 Four years, a military retirement, two high school graduations, breast cancer, significant downsizing (unrelated to the breast cancer — ahem), and a lot of gray hair later, here we are, enjoying a lifestyle we love, thanks to inspiration from Joel & Louise. 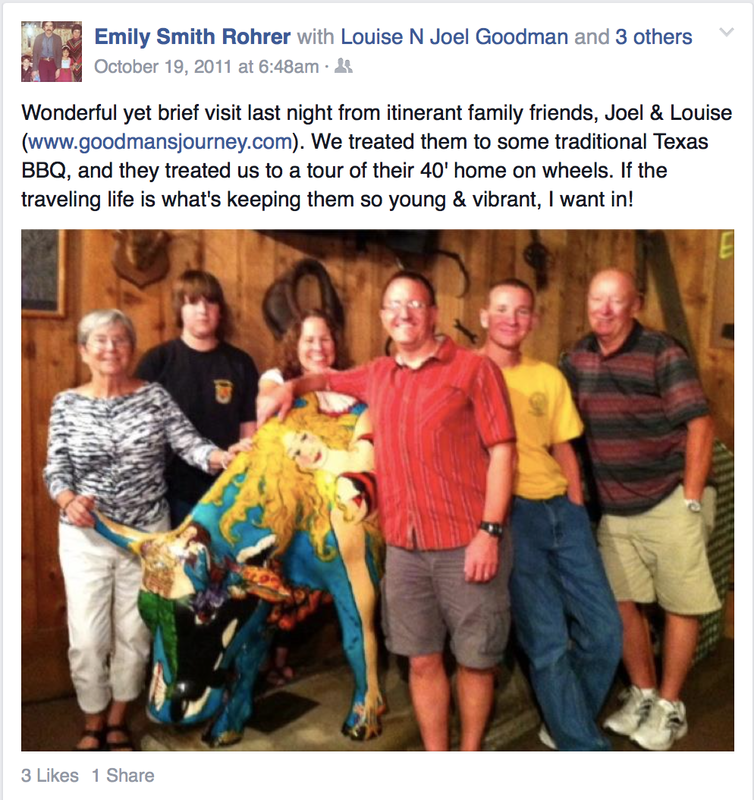 All 10 of us invaded Jamaica in 2014 for our 20th FriendFest. This year, we are but 6 in a NC beach house. It happens. FriendFest = Ten women who became friends as Navy wives in Mayport, FL in the early 1990’s. We’ve gathered for an autumn weekend every year since 1995, usually in a beach house, but sometimes in more exotic places. And since 1) I’m not in the RV, and 2) what happens at FriendFest stays at FriendFest, I’ll be spending some time back-filling the blog over these few days of napping punctuated by drinking, and laughing until we pee. There’s still a fair amount of history to include here. Maybe I’ll be all caught up by Monday! Rainy days mean lots of indoor activities. And in between the laundry and the sofa repair, I turned out one of these. 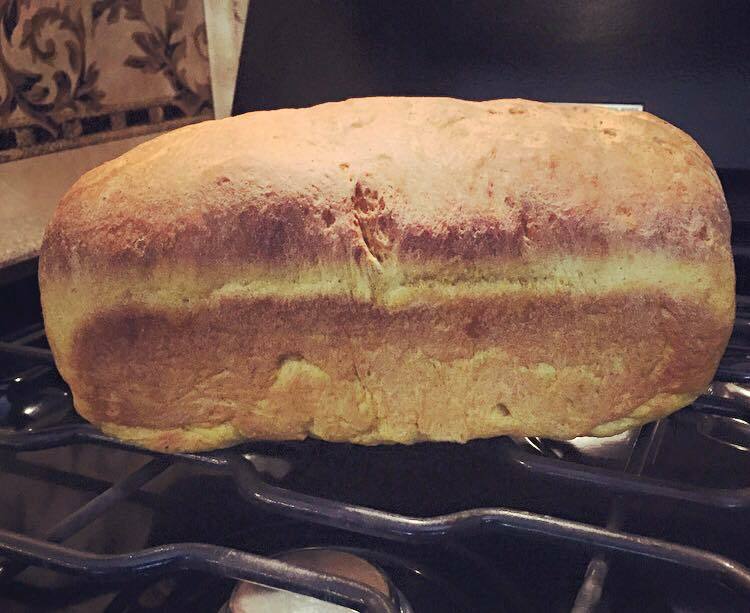 It’s pumpkin yeast bread, y’all. Like, for actual sandwiches and toast and stuff! I used half this recipe, which is neither too sweet nor too spicy. This time — my second go-round — I used cinnamon instead of cardamom, and subbed half a cup of white flour with whole wheat. Best filling combo so far: smoked turkey, cream cheese, cucumber slices, and raspberry jam.